As protesters took to the streets in cities large and small in Iran, the security forces responded by violence and mass arrests. At least 25 people were killed and—according to an Iranian official—3700 people were detained. As reports of mass arrests began surfacing, we knew that many protesters would benefit from the guidance offered by activists in our Safe Activism guide. How to mitigate the consequences of incarceration. Safe Activism was produced in 2016 in collaboration with 3 dozen experienced Iranian activists who had been imprisoned in recent years. This guide, which was also translated to English to help dual-nationals at risk of arrest, offers critical information on recovering after detention. The Iran Prison Atlas team has begun producing more detailed reports about misconducts by Iran’s Judiciary and security apparatus. In the last 6 years, IPA researchers have shared thousands of hours of data gathering in a platform that enables you to see an overview of how Iranian authorities treat political prisoners. We see the treatment of political prisoners as the litmus test for human rights conditions in Iran, because these prisoners are often activists who are at the forefront of advocating for human rights. 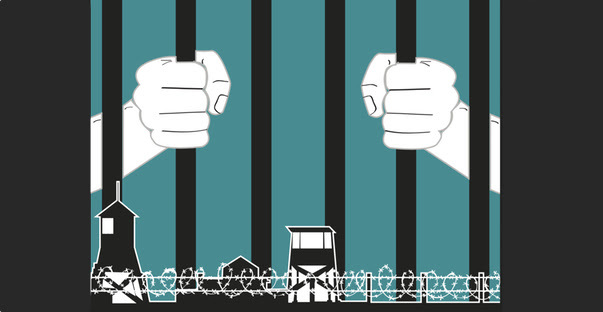 In November, the Iran Prison Atlas began presenting some of its findings in a new way: the Atlas is publishing more in-depth reports on specific cases of human rights violations related to political prisoners. IPA’s most recent report was published on the anniversary of mass arrests in Balochestan in southeastern Iran. This case presents a deeply troubling example of how Iran’s security forces use their power to maintain an atmosphere of fear and suppress dissent. IranCubator application Michka will be republished as a children story by a publication in Iran. Michka is a game and e-book designed to help Iranian parents protect their children from sexual abuse. Michka’s Designer and Project Manager Sahar Shams is currently raising funds to make the app available to English and Spanish speaking children. As with the Persian app, the English and Spanish Michka will be free. Michka tells a tale of how children can talk to their parents about difficult subjects. Using language that is appropriate and understandable for children, Michka tells a story of a gender-neutral insect who is touched inappropriately by an adult insect. The app’s content has been reviewed and approved by a number of psychologists and child development experts and has been warmly received by Iranian parents and children. Michka is available on iPhone, Android phones and Microsoft Windows. United for Iran Executive Director Firuzeh Mahmoudi was a keynote speaker at Wired Magazine’s annual two-day festival in London. Firuzeh used the platform to share United for Iran’s lessons in utilizing technology in advancing basic rights. She spoke to a room full of inspirational leaders. Wired Magazine also featured United for Iran’s efforts in their November issue. We joined Human Rights Watch and Amnesty International, alongside Iran focused human rights organizations, and asked member states of the United Nations General Assembly to pass a resolution on Iran’s human rights record. The UN General Assembly passed the resolution, making this year the 15th year in a row that the UN condemns the Iranian government’s human rights record and calls on Iran to adopt long-awaited reforms.